Medical debt can be completely eliminated (“discharged”) in Chapter 7. In Chapter 13, medical debt must be paid starting at 1%. Increases may apply based on your income and assets. 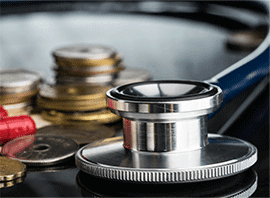 Medical debt creditors, generally, can garnish your paycheck in South Carolina and can seize your tax refund.